American Heritage Girls is a nonprofit organization dedicated to the mission of building women of integrity through service to God, family, community and country. The organization offers badge programs, service projects, girl leadership opportunities and outdoor experiences to its members. This program of character building has successfully served thousands of girls since its inception in 1995 and will continue to do so long into the 21st century. 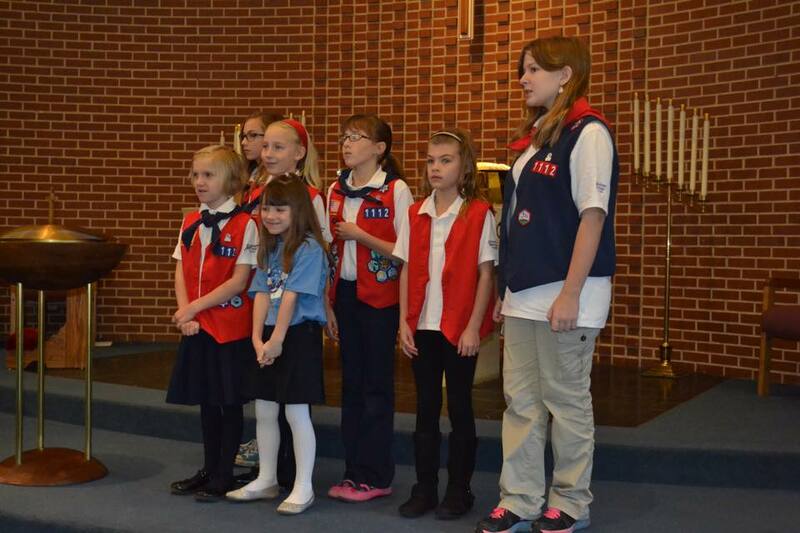 Our Redeemer Lutheran Church is honored to be the charter organization of the first AHG Troop in Hutchinson, Kansas, Troop KS1112. Troop KS1112 meets twice a month from August through May. AHG helps girls acquire skills that will assist them in all areas of life. These skills may include how to use a computer, sew on a button, protect themselves, learn about their ancestors or what it takes to be an astronaut. 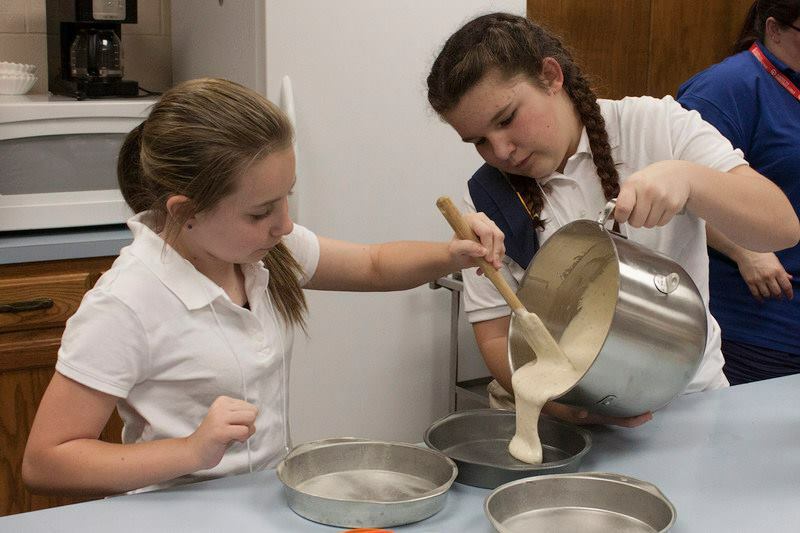 The Badge program provides opportunities for girls to interact across age groups, as older girls teach younger girls. Each Badge can be earned at three different levels (Tenderheart, Explorer, and Pioneer/Patriot). AHG exists to help girls learn more about God, about how to walk in faith, and the need to seek God’s will in our lives. Our hope is that each and every girl will experience the Lord in all parts of AHG -- the Oath, friends, Leaders, through service, Religious Recognitions programs, and even Badge work! AHG helps girls to live their lives for God! Working as a team is important within a Troop, especially when the girls venture outdoors! Spending Troop time in God's creation is full of fun and excitement as each girl sees nature bear witness to our huge, infinitely creative God. There are challenging surprises around every tree trunk! Challenges can quickly become victories when teamwork is used to problem-solve. Victories help build confidence. AHG helps girls grow in confidence by learning self-reliance in the outdoors..
AHG wants every girl to share her talents and ideas to make her Troop the best it can be! AHG's multi-Level Troop structure offers many opportunities for girls to experience different leadership roles. As a girl ages through the program, her leadership opportunities and responsibilities increase accordingly. These lessons carry through to all areas of a girl’s life: in her home, as a citizen of our country, as a member of her church, and even as a student in school! A girl’s character is made up of the values she uses to make decisions. Helping a girl learn to listen to the Holy Spirit inside of her to determine what is right and wrong, and ultimately gain the ability to make sound, moral decisions, is what American Heritage Girls is all about! A girl can develop character values through her family, church, relationship with God, and life experiences. AHG intentionally offers many character-development opportunities, especially through service and citizenship programs.